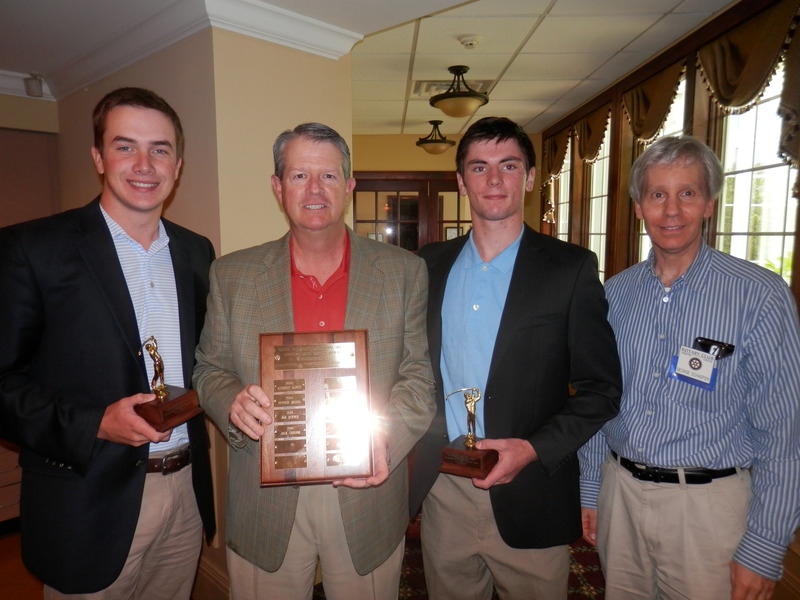 The Rotary Club of Springfield Township yearly honors students that stand out as extraordinary sportsman in the field of Golf and athletics. 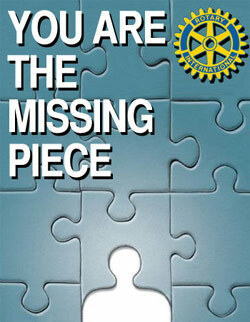 The Gene Gisburne Memorial Award was named after a Past President of Rotary who passed away suddenly. 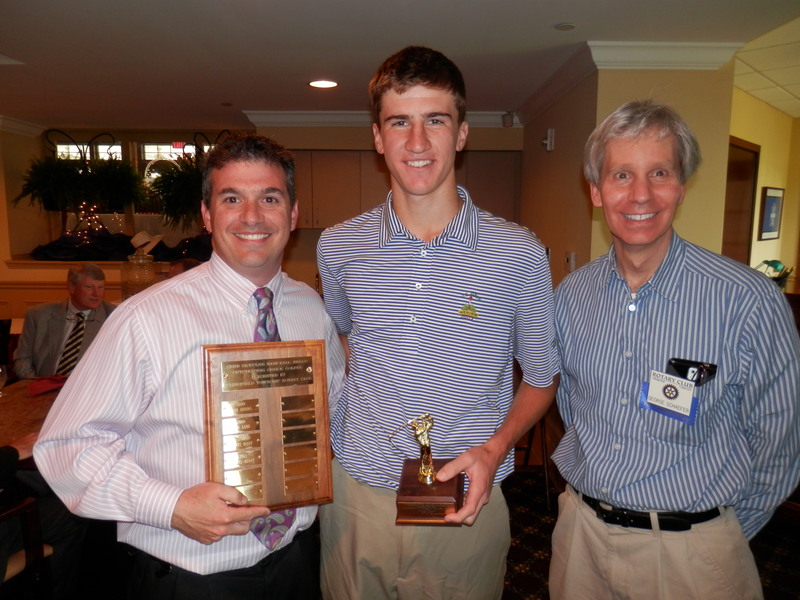 His family and the Club honor his memory by giving the award in his name for a sport he was fond of. 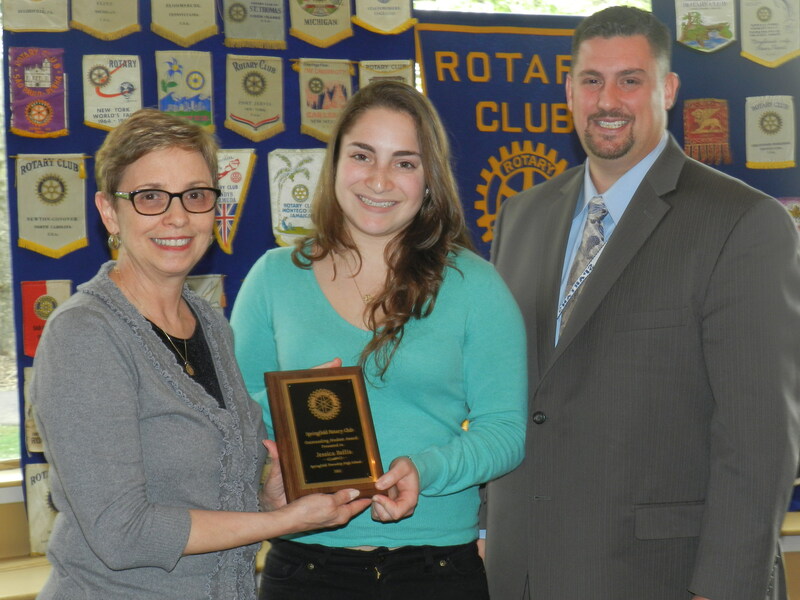 This award has become a cherished and sought after accomplishment for many students. 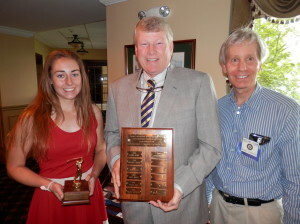 Picture 1: Recipient Alison Snakard from Mount St. Joseph’s, coach Mike Brown and President George Schaefer. 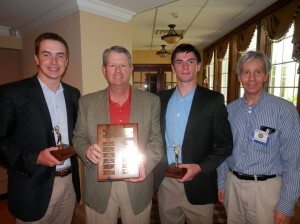 Picture 2: Recipients from LaSalle College High School: Jack Gregor, coach Marty Jackson, recipient Joe Rueter with President George Schaefer. Picture 3: Coach Tom Vizza, Recipient Chris Binet from Springfield High School and Rotary President George Schaefer. 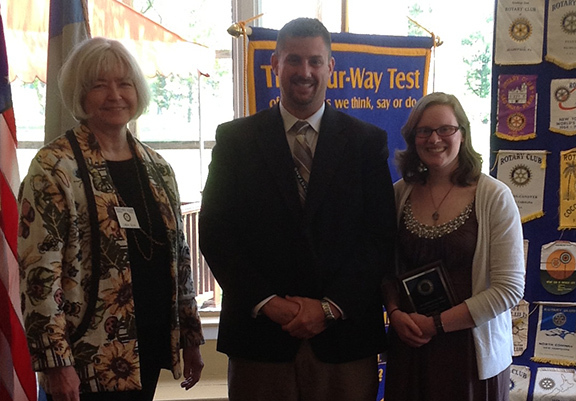 The club presented on April 30 – Student Service Awards to Winners from Mount Saint Joseph Academy, Julie Gutekunst; Jordan Shuster, Springfield Township High School; and Francis Johnson, from La Salle College High School. 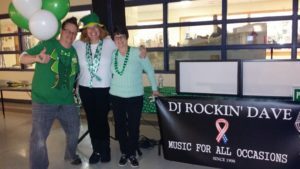 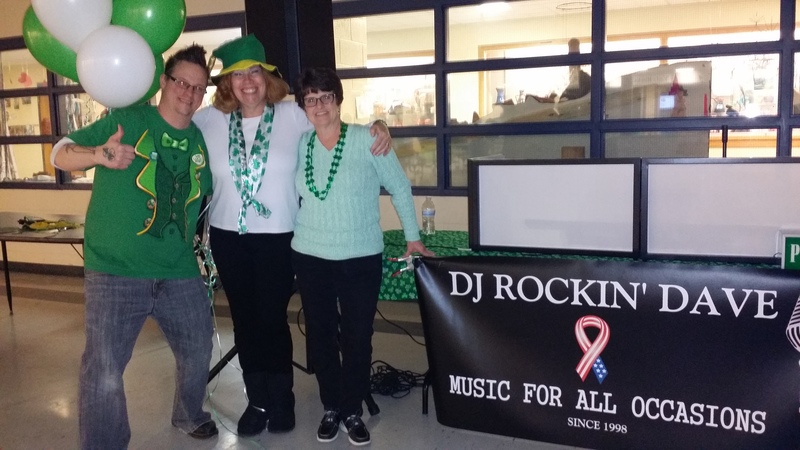 Pictured left to right are Sr. Joannie Cassidy, Julie Gutekunst, and Linda Silva, President of the Springfield Township Rotary Club. 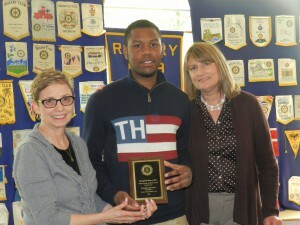 Pictured left to right are Rose Ryan, Francis Johnson and Linda Silva, President of Springfield Rotary Club. 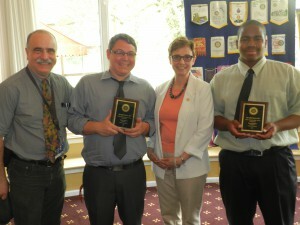 Pictured left to right are Linda Silva, President of Springfield Township Rotary Club, Gregory Puckett and Jordan Shuster. The Springfield Township Rotary Club’s Teacher Service Award were also given out on April 30, 2013. 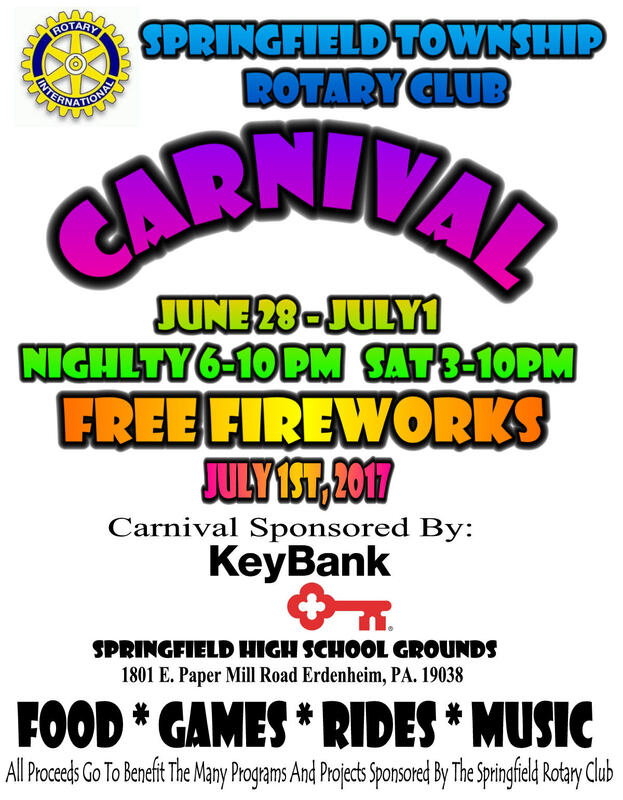 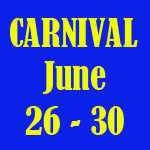 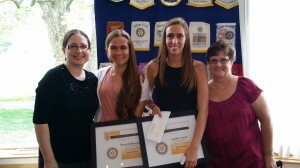 Monica Femovich, Springfield Township High School and Lisa Agnew from LaSalle College High School received the honor this year. 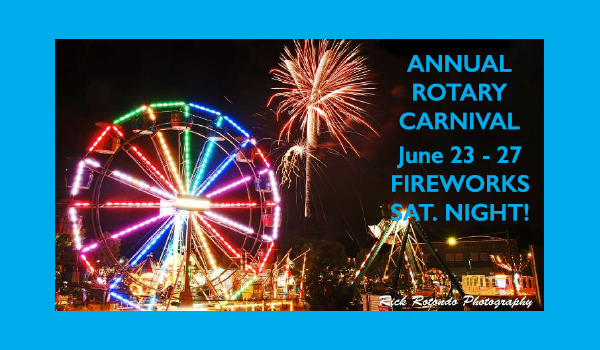 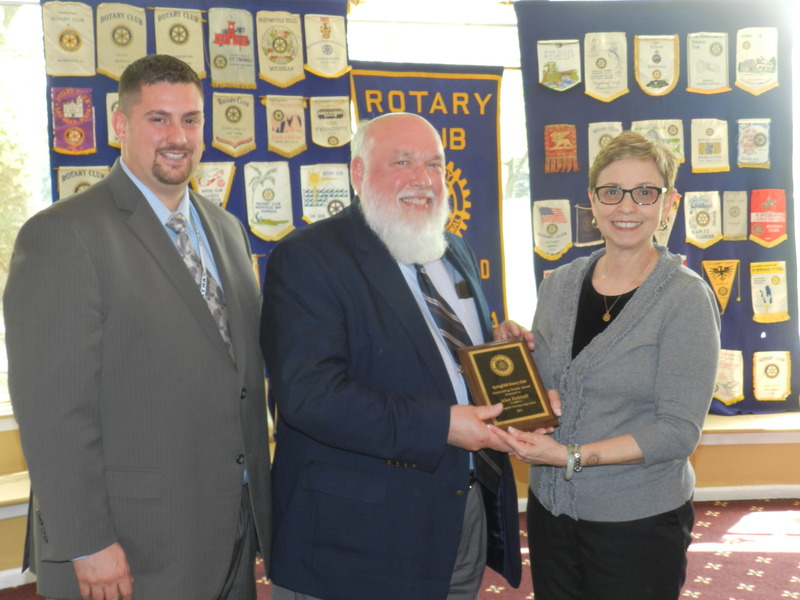 Pictured left to right are Gregory Puckett, Monica Femovich and Linda Silva, President of Springfield Township Rotary Club. 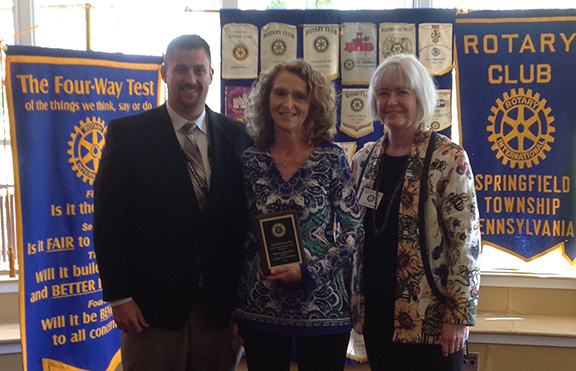 Pictured from left to right are Lew Clark, Lisa Agnew and Linda Silva, President of Springfield Township Rotary Club. 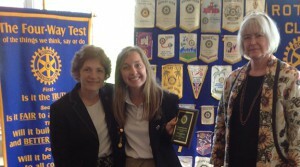 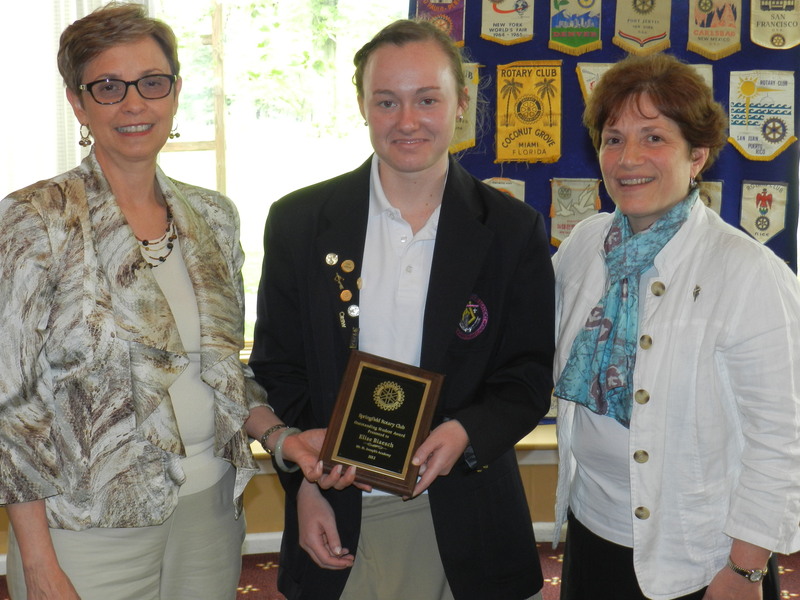 On Tuesday May 15 The Springfield Township Rotary Club honored Mount St. Joseph Academy student, Elise Reisch, with their Community Service Award. 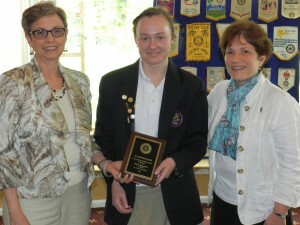 (L-R) 2011-2012 Springfield Rotary President Roseann Nyiri, Elise Reisch and Sister Joannie Cassidy. 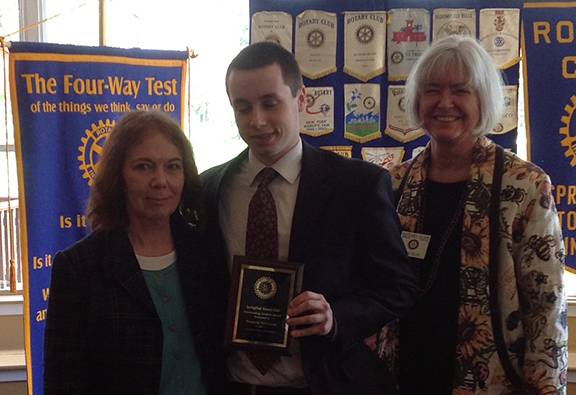 On Tuesday, April 24, The Springfield Township Rotary Club recognized student, Joseph Barrett Carson Valley Children’s Aid with their annual Rotary Student award given to the student who exemplifies the Rotary motto of “Service Above Self”. 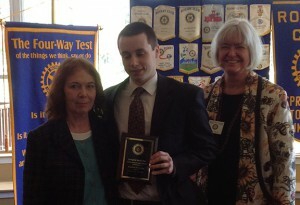 (L-R ) 2011-2012 Springfield Rotary President Roseann Nyiri, Joseph Barrett and Lori Ojeda, Director of Education at Carson Valley Children’s Aid. On Tuesday April 24, The Springfield Township Rotary Club recognized teacher, Elizabeth Bosack of Carson Valley Children’s Aid with their annual Rotary Teacher award given to the teacher who exemplifies the Rotary motto of “Service Above Self”. 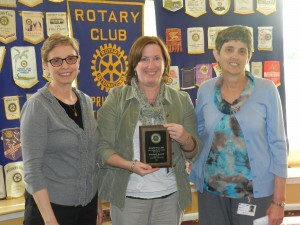 (L-R) 2011-2012 Springfield Rotary President Roseann Nyiri, Elizabeth Bosack and Nancy McCay, Education Administrator at Carson Valley Children’s Aid. 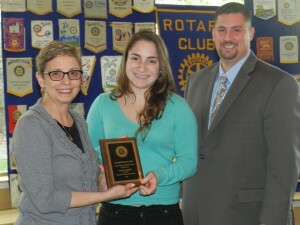 On Tuesday, May 1 The Springfield Township Rotary Club recognized student, Rachel Neikrick and teacher Will Liegel of Phil-Mont Christian Academy with their annual Rotary Student and teacher awards given to the student and teacher who exemplifies the Rotary motto of “Service Above Self”. 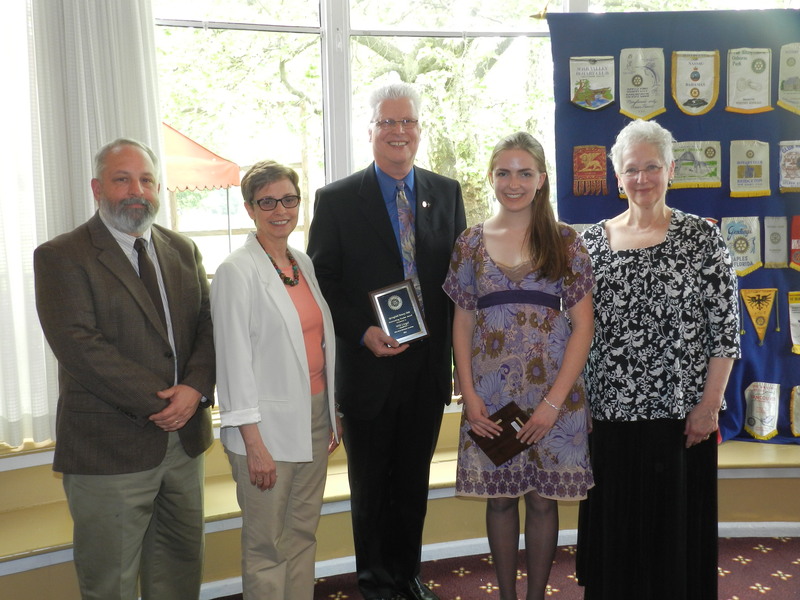 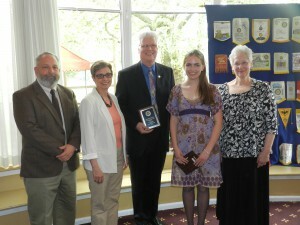 (L-R) : Tom Sorkness of Phil-Mont Christian Academy,, 2011-2012 Springfield Rotary President Roseann Nyiri, Will Liegel, Rachel Neikrick and Marilyn Furcola of Phil-Mont Christian Academy. 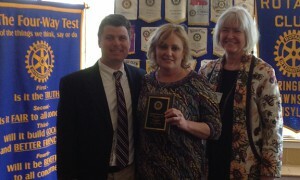 Alan Eickhoff and 2011-2012 Springfield Rotary President Roseann Nyiri. 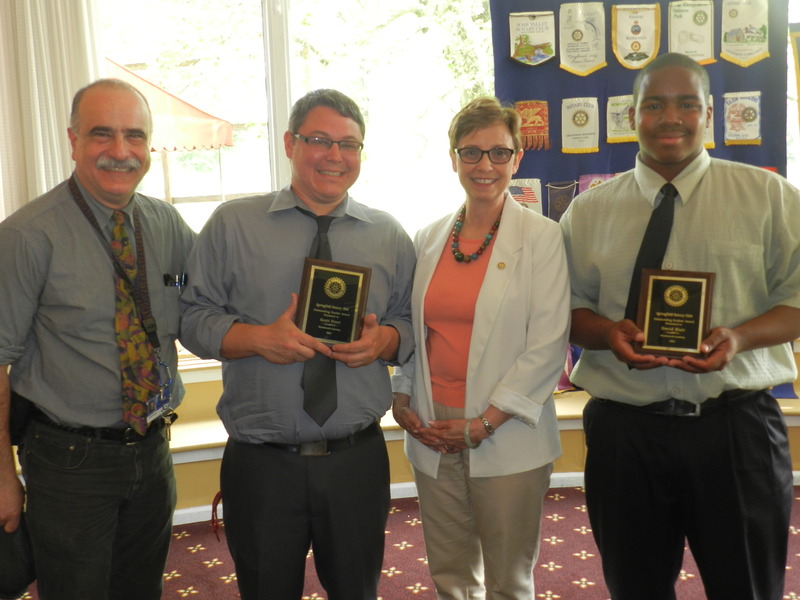 On Tuesday, May 1 The Springfield Township Rotary Club recognized student, David Blair and teacher Scott Frost of Wordsworth Academy with their annual Rotary Student and teacher awards given to the student and teacher who exemplifies the Rotary motto of “Service Above Self”. 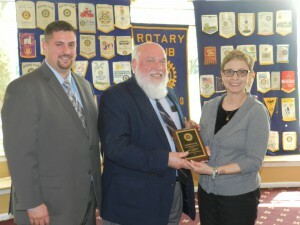 L-R : Steve Bass of Wordsworth Academy, Scott Frost, 2011-2012 Springfield Rotary President Roseann Nyiri and David Blair. On Tuesday, May 1 The Springfield Township Rotary Club recognized student, Kegan Moesta and teacher Joe Parisi of LaSalle College High School with their annual Rotary Student and Teacher awards given to the student and teacher who exemplifies the Rotary motto of “Service Above Self”. 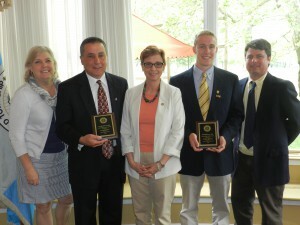 (L-R) : Carol Haggerty of LaSalle College High School, Joe Parisi, 2011-2012 Springfield Rotary President Roseann Nyiri, Kegan Moesta and Lou Clark of LaSalle College High School.